I am a junior joint Spanish-Portuguese & international development major at Tulane University. 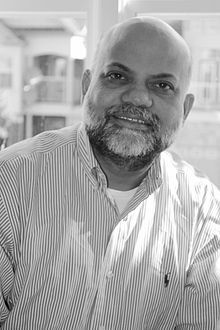 Quadir was educated in the United States at Swarthmore and Wharton, where he studied finance and engineering. Early on, he worked for several banks in New York and consulted for the World Bank, but he soon began to explore a path in development. His thinking differed drastically from the of the World Bank. He came to strongly oppose foreign aid in favor of tactics that put development in the hands of the people. He became interested in the democratizing effects of technology in developing countries; especially in the application of mobile phones. In 1996, he teamed up with GrameenBank in Bangladesh to offer phones that could be purchased with microloans to entrepreneurs in rural villages. In this program, entrepreneurs would buy a “village phone.” They would then charge their neighbors for its usage, until they could repay their loan and eventually profit. Today, the Tech Horizon Report puts the phone as an important emerging technology, but when Quadir first proposed this plan, it was called radical. According to Quadir’s theory, it would improve everyone’s connectivity, and therefore, productivity. Today, GrameenPhone is Bangladesh’s largest telephone company. The project is in more than 25,000 villages, reaching over 100 million people. Currently, he works at MIT as the director of the Legatum Center for Development and Entrepreneurship, which he himself founded. This center promotes bottom-up entrepreneurship in the developing world. In addition, he also founded the Anwarul Quadir Foundation to support innovative technological development solutions in Bangladesh. He shares his ideas through lecturing, special engagements like TED talks and journals like the MIT journal Innovations that he co-founded. He has been profiled by and has written for magazines like The Economist, Boston Globe, Financial Times and The New York Times. Quadir also spoke on CBC, CNN and PBS. He preaches to the new generation of I-Dev thinkers, the necessity of including and engaging all people in economics and politics as well a empowering people to become actors in their own development. In the developing world, the importance of cyber-security is becoming increasingly clear. Government sites, as well as activists groups are especially at risk of attack. While computers and the internet are crucial tools for activists and governments, these very tools make them vulnerable. In China, a group of hackers attacked various targets through operation Luckycat. “Luckycat… has been active since June 2011, (and) has been linked by Trend to 90 attacks in India and Japan against aerospace, energy, shipping, military research and activists.” (The Register) They used a spear phishing campaign that sends an infected Microsoft Office file to targets to exploit vulnerabilities in the Microsoft platform. The infected file gives backdoor access to the sender. The MacControl Trojan used was unusual, becasue Macs have typically not been targeted by hackers with the frequency of PCs. Tibetan activist organizations were especially targeted by this campaign and many believe that the Chinese government is behind these attacks. While the individual Chinese hackers have been identified (mainly Gu Kaiyuan) it has been difficult to prove a direct connection to the government. This is certainly not the first time that the Chinese government has been accused of cyber-espionage and sabotage. China has previouly been accused of spying on pro-Tibet organizations via internet-hacking on several occasions and was blamed for the GhostNet operation cyber-espionage attack on the Tibetan government-in-exile as well as private office of the Dali Lama. A trend is becoming increasingly evident; The Chinese government is likely recruiting and supporting young talented hackers to achieve their ends and later, letting them take the blame for the attacks. All this is proof that safety should not be taken for granted and that hackers and cyber-criminals are innovative and should not be underestimated. Mac is advertised as being more resistant to attack, but they are certainly not impervious. It is likely that in the future, they will became more frequently targeted. It is clear that activists, governments of the developed and developing world, as well as individuals, need to take measures to protect themselves. In class, we saw examples of all of the ways the Ushahidi platform could be compromised. These same tactics can be used against nearly any stakeholder in development. This is a solid barrier to ICT4D. In the future, cyber-security needs to be made a priority. Rede Jovem (translated form Portuguese to “Youth Net”) is a Brazilian organization that is mapping Rio de Janeiro’s favelas through GPS-equipped mobile phones, wielded by young Cariocas. In the words of executive coordinator of the program”The main goal was to mark public interest spots on a map and show places like schools and institutions and hospitals and restaurants. We wanted to spread the news about what slums do have, so all the people can get to know that the slum is not just a place for violence and marginality and robbery.” Five major favelas are being mapped through this program: Complexo Alemão, Cidade de Deus, Pavão-Pavãozinho, Santa Marta and Complexo da Maré. The project is an initiative from the NGO Comunitas. Running costs are extremely low due to the nature of the project. They asked five young women “wiki-reporters” (17-25) to participate and log the data for the maps. These woman were trained by leaders behind the project and as incentive they offered the woman who logged the most information a scholarship to study communication or journalism at a private university. So far, much of these communities have been mapped through this initiative. The project is currently trying to expand by creating a mobile app for anyone to use. In this way, they will use crowdsourcing to compile more GPS information and map more favelas. The maps provide useful information about services available in specific favelas and also give a greater sense of legitimacy to residents, who call the favelas home. By asking for volunteers who live in these communities to do the mapping, they are taking advantage of local knowledge. The favelas, by nature, are informal and difficult to map. I know from experience, that for anyone not familiar with a particular favela, the streets can be mazes; almost impossible to navigate. I am extremely impressed with the program. In a way, it is empowering residents by giving their communities legitimacy. By mapping the favelas, this organization is putting out a message saying that like the bairros (neighborhoods) of Rio, the favelas are legitimate spaces in the city. This project also makes development of infrastructure within these communities more possible. For now the costs are low. Connecting with residents with mobile phone could be difficult, as many residents have limited resources, but there do exist a number of favela residents who do possess this technology. After my time living in Rio and experiencing life in the favelas (I spent time in two of those being mapped) I am excited to see how this program progresses. After the viral hit of Invisible Children’s controversial Kony2012 video, social media sites lit up with responses. There was some praise and much criticism for the campaign. If nothing else, Kony2012 started a conversation. Soon enough, Ugandans themselves began weighing in through social media outlets. Through Twitter and other platforms, many Ugandans began explaining to the worlds some of the issues with the campaign and the reality of the LRA situation and life in Uganda. I personally believe that no campaign or movement in development should be immune to criticism and response from local people who are being affected. The same social media that made the Kony2012 video go viral is now an outlet for its critics and the very people of Uganda who are being affected the most by this campaign. If anything, Invisible children have sparked a dialog and have gotten people talking about Uganda. Ugandan voices are now being heard through the power of social media. Kiva is an ICT4D organization that connects microfianance to the internet. This innovative program creates profiles for small businesses and individuals around the world who seek micro loans to create and support a li velihood. These profiles can be viewed by potential donors who then can sponsor the business of their choosing. In this way, the organization seeks to alleviate poverty. On the Kiva website, Kiva describes how individuals can contribute “Leveraging the internet and a worldwide network of microfinance institutions, Kiva lets individuals lend as little as $25 to help create opportunity around the world.” Even though these loans are small, they have the potential to make a difference in the livelihoods of those people involved in the program. Kiva is unique because it puts a face on poverty. Lenders can read the story of the individual and business that they are sponsoring as well as receive updates on their progress. Ultimately, the loans are meant to be re-payed, so there is accountability in the program. The repayment rate is a remarkable 98.94% perhaps in part due to this very personal connection between business and lender. I see this as ICT4D at its finest, where people like Bornnes can reach out to a global community for technology to improve his life through his own entrepreneurship and ingenuity. 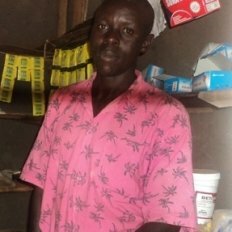 It is not aid, he accountable for what he receives, but his profile on Kiva provides him a resource that he otherwise may never have been able to receive. Volunteers can play other roles besides ‘lender’ in Kiva. Through crowdsourcing similar to what has been seen in the 4636 program in Haiti’s disaster relief, Kiva employs a network of volunteer translators. Kiva connects to and relies on volunteers to translate the profiles of its businesses into English. During class, we discussed the 4636 project used during the aftermath of the earthquake disaster in Haiti. Crowdsourcing coupled with the innovative software developed by Ushahidi provided valuable information during the recovery period. Those on the ground who texted to the number 4636 were able to report emergencies, communicate information valuable to rescuers and request resources from aid workers. This information was uploaded to a crowdmap after being translated into English. While this program was not directly involved with or responsible for rescue and aid work on the ground, it allowed aid workers access to valuable information and brought in an entire network on distant volunteers. What happened with 4636 in Haiti taught us the serious potential of crowdsourcing in disaster relief and soon the same techniques were being applied abroad. These lessons were applied the next year on the other side of the world. On March 11, two hours after Japan was hit by a devastating tsunami, American students created a Japan Crowdmap and during just the first few days after the event, over 3000 people had uploaded geo-located data to the map. Rescue workers were able to access the infomation and help where they were most needed. Videos taken of the tsunami by ordinary Japanese citizens on their phones were sent in to news agencies and later analyzed by scientists to learn more about earthquakes and tsunamis. Later, during the nuclear scare, crowdsourcing was used amidst the panic and rumors to collect hard data and measure radiation. Information could be sent to the newly launched website RDTN.org by anyone with a Geiger counter or other data to aid in the cleanup. It seems that crowdsourcing was extremely valuable and aided in quick recovery for the Japanese. Japan however had an advantage over Haiti and other developing countries. In Japan, infrastructure was already in place to deal with this kind of disaster so pleas for help could be more easily answered. Also, Japan does not have the obstacle of extreme poverty that is present in Haiti. It seems safe to say though that this technology has application in both the developed and developing world for disaster relief. One of the greatest challenges in ICT4D is a lack of infrastructure in the developing world. Electricity in particular proves an issue because many of the technologies need to be charged and in many developing areas access to electricity is limited. Therefore, in discussing how to use ICTs to successfully promote sustainable development, it is imperative to address the issue of electricity. There are many energy technologies that have serious potential in the developing world that are also good leave a minimal carbon footprint. One of these technologies is hydrokinetic energy. Like solar and wind energy, it makes use of natural unlimited resources to produce electricity. Through this class we have already learned about some of the applications of solar panels in ICT4D in Kenya so it seems reasonable to look at other energy alternatives. Hydrokinetic energy uses current driven turbines in rivers streams or the ocean to generate energy. Unlike a dam, it is able to make use of the energy of water without changing the environment. It is more powerful and produces more energy than wind turbines and is often more reliable than solar energy (in the right locations, current is strong and 24hrs.) The infrastructure it requires in minimal and it is relatively inexpensive. This technology has potential in the developing world. The company Hydro Alternative Energy, Inc. is planning a hydrokinetic development energy project in Durban South Africa. Extending electricity infrastructure in places like Durban would mean more people having access to electricity and therefore would be able to make use of ICTs and all of the potential benefits of those technologies. This could spur development. Water is everywhere and many regions and communities could make us of this technology. This could be either on a large national scale or even on a grassroots community scale.